1Must Take Delivery by End of Month, May not be available with other offers. See Dealer for Details. 2Not available with lease and some other offers. See dealer for details. 3Monthly payment is $13.89 for every $1,000 you finance. Average example down payment is 4.5%. Some customers may not qualify. Not available with leases and some other offers. Take retail delivery by 4/30/19. See dealer for details. The new GMC Terrain, offered at our dealership in Elyria, is a small SUV that is big on features. Just right for the urban driver, this SUV comes with a sophisticated interior and ample storage options. This vehicle offers a remarkably quiet ride, thanks to its triple door seals and acoustic-laminated windshield. 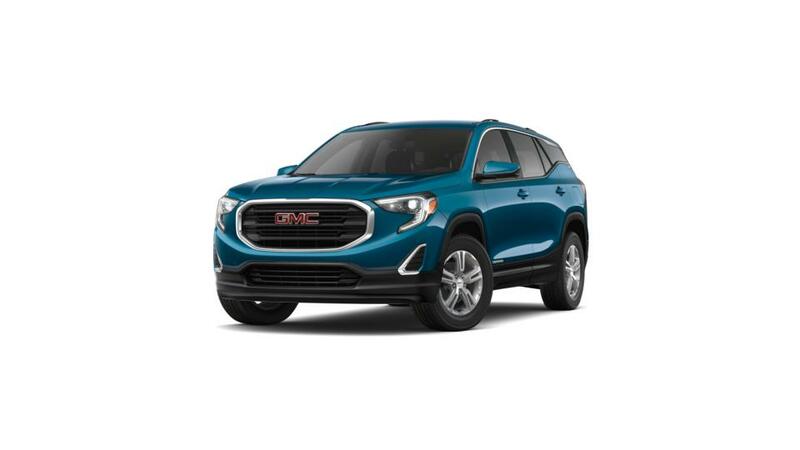 Safety has not been compromised as this SUV comes with innovative safety features to keep you and your passengers secured while driving the new GMC Terrain in Elyria. Several infotainment options on the inside provide endless entertainment for you and your passengers to enjoy. We have a large inventory for you to choose from. Contact us and test-drive the new GMC Terrain at our Elyria showroom today!